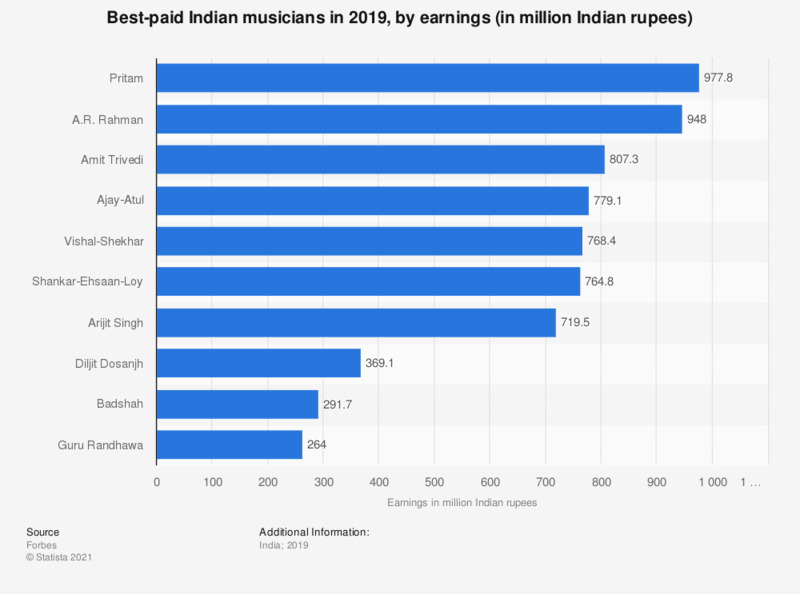 This statistic displays the best-paid Indian musicians and singers in 2018, based on their earnings. Grammy-award winning A.R. Rahman ranked highest among his counterparts with over 667 million Indian rupees in earnings, followed by singer Arjit Singh at about 433 million rupees that year.